Exercise makes you happy- I agree! Who couldn’t use more happiness? Exercise has the added benefits of causing us to smile more often, laugh out loud and to find humour and amusement– in the life around us. An article in MindBodyGreen, an online newsletter came to my attention recently. If you want the full article, google it. I think you will enjoy it. I agree with each of the six points. Thanks, Krista. Just the word makes us run for the hills, eh? Have you ever thought of the relationship between clutter and your general health and wellness? Most of us don’t relate clutter to anything at all to do with happiness, but I hope after reading this you may consider changing how you think about clutter. One day back in 2007 I read an article on clutter and the benefits of addressing the clutter in our lives as a way to living a happier life. How could the two be possibly related, I wondered, but since I wanted to ‘do things differently’… I trusted that how they were related would become apparent to me. Setting absolutely do-able, very small, short term goals worked for me. One half hour twice a week blocked off in my agenda, allowed me to begin a de-clutter project which led to all sorts of life changes most of which I never anticipated. Firstly, I had to look within to figure out which areas of clutter bothered me the most and then rank them in a list. All I had to do is look at the first one. Then, as I have mentioned, I blocked out two very short appointments with myself each week to address this area. My first project was the messy office on my main floor. You can choose to reside in a place of fear, a place where you doubt who you are and what you are capable of, or you can choose to believe in the best version of yourself. Books and Programs I Recommend for Personal Growth and Recovery. Below is a list of resources I have used to pursue personal growth at different times of my life, leading to the lasting happiness I now enjoy. It is important to note that the order is not really important and in fact this is a list of the steps I took given my specific needs and personality. It could be different for each of us. I took most of these programs in Ottawa, Canada but I hope programs like them are offered elsewhere in the world, too. I have included the phone numbers or websites of each as a reference in case one of these ideas seem right to you at this time. 2003 (to present) -Attended Al-Anon meetings. It is a 12-step program for people affected by other people’s drinking, based on AA’s 12 steps. I focused on the Serenity Prayer (see below), slogans and developing a trusting relationship with a Higher Power. www.al-anon-ottawa.ca, (613) 860-3431. 2004 – 2009 Amanae Sessions. This is a deep tissue emotional release bodywork technique by Victoria Butow. www.frequenciesofbrilliance.com, 1-(267) 337-2729. 2004 – Mindfulness (MBSR) at the Bronson Centre with Dr. Steven Hicks. ‘Stress is a choice’ is what I took away from this program. www.mbsrottawa.psiottawa.com. 2004 – Rideauwood’s ‘Family Program’. Highly recommended, as already mentioned, for people affected by another’s drug or alcohol use. 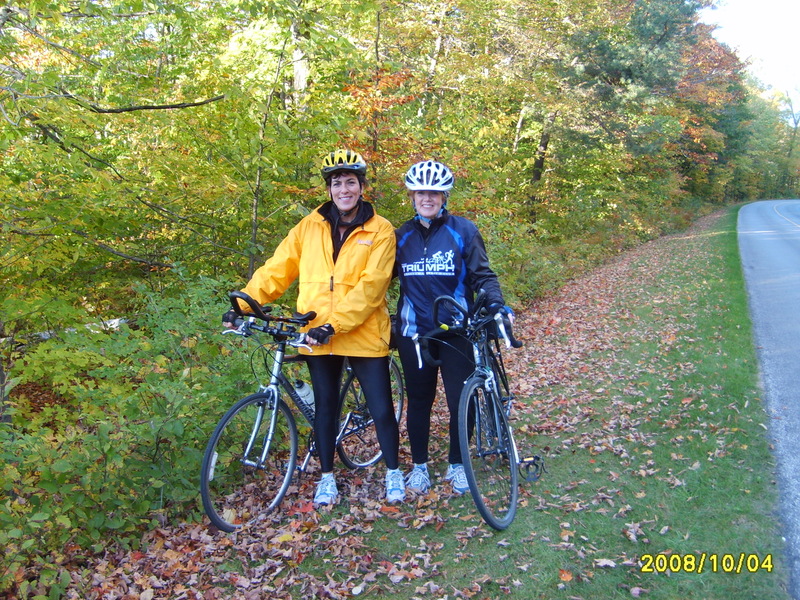 www.rideauwood.org, (613) 724-4881. 2005 – Took a six-week group therapy course, which followed the book The Grief Recovery Handbook by John W. James and Russell Friedman. Worked on my multiple losses. An excellent approach to processing multiple losses. 2006 – Camillus Centre in Elliot Lake, Ontario. Twelve day residential Family Program for people affected by other people’s addictions. Call (705) 848-2652 and inquire about the Family/Co-dependency program. 2007 (to present) – volunteering as an ‘Adult Child’ at the Royal Ottawa Mental Health Centre, Substance Use and Concurrent Disorders Program. www.theroyal.ca and click on ‘Substance Use and Concurrent Disorders’. 2007 – Participated in a Cursillo weekend, which dramatically deepened my trust in a Higher Power. www.ottawacursillo.ca. 2008 – Rideauwood’s ‘Family of Origin Program’. Highly recommended for adults who came from a dysfunctional background and wants to work on their continuing issues. www.rideauwood.org , (613) 724-4881. Full Catastrophe Living, Jon Kabat-Zinn, Ph. D.
When I am disturbed, it is because I find some person, place, thing or situation – some fact of my life – unacceptable to me, and I can find no serenity until I accept that person, place, thing or situation as being exactly the way it is supposed to be at this moment. Nothing, absolutely nothing happens in God’s world by mistake…. Unless I accept life completely on life’s terms, I cannot be happy. I need to concentrate not so much on what needs to be changed in the world as on what needs to be changed in me and in my attitudes.